Canada’s federal legislative branch is called the Parliament of Canada. It consists of three parts: the Sovereign, the Senate and the House of Commons. The Sovereign is represented by Canada’s Governor General or Head of State, while the Senate consists of 105 appointed members of the upper house and the House of Commons is made up of 308 elected members of the lower house. In order to understand the role of Canada’s Parliament and its efficacy, the three parts of it should be examined. In that Canada’s constitutional system of government is officially a monarchy, a representative of the Queen is a fixture in its government. This role is called the Governor General. The Governor General is essentially the resident representative of the Crown. As Canada evolved from a colony to a nation, the role of a Crown representative also evolved. Today, the role of the Governor General almost seems ceremonial in nature but it is actually quite an important position. Canada’s Governor General is the head of state, standing in contrast to the Prime Minister or head of government. The Governor General typically holds office for a period of about five years and is appointed by the Prime Minister’s recommendation. The Governor General speaks for the entire country at large; the Prime Minister speaks for the political party to which he or she is a representative. It is the role of the Governor General to summon and dissolve Parliament, authorize treaties, send and receive various ambassadors from other countries, commission officers of the Armed Forces, and give bills that have passed the House of Commons and the Senate approval so that they may be passed into law. Also serving as representative for Canada abroad, the Governor General is considered the commander-in-chief of Canada’s Armed Forces and is tasked with the swearing-in of Cabinet ministers and other government officials. With 105 members appointed by the Governor General on the advice of the Prime Minister, Canada’s Senate is referred to as the “upper house” of Parliament. The seats in the Senate are divided up into four major regions: Ontario, Quebec, the Maritimes, and the West. Given that the Senate is called the “upper house,” many have misunderstood its role and assumed it to be more powerful than the House of Commons or “lower house.” This is not the case. The Senate is, instead, filled with individuals who are of higher rank than those in the House of Commons. As appointed officials, they must be comprised of subjects of the Queen and must be at least 30 years of age. The Senate must consent to each law that passes. It rarely votes against the interests of the House of Commons and is seen as somewhat of a symbolic portion of government by the majority of Canadians. Even so, the Senate has the same basic rights as the House of Commons. The Senate has not vetoed a bill sent from the House of Commons since 1939 and rarely makes amendments to bills before they pass. There have been cases in which the Senate has been responsible for temporary blocking of bills, such as in 1990 when the Liberal-dominated Senate blocked Conservative plans to pass a sales tax bill, but for the most part they echo what is done in the House of Commons. Perhaps the most important role of the Canadian Senate is that of operating under committee to produce investigations and studies. The Senate considers each bill with scores of evidence, often taking months in the process to consider all of the information involved. 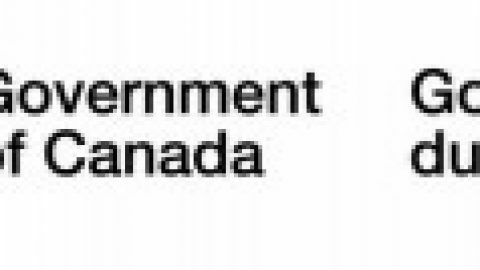 As most Senate committees are nonpartisan, this enables the documentation of careful studies on various areas that produces valuable information for Canada’s government. As Canada’s democratically-elected body, the House of Commons has 308 members known as Members of Parliament or MPs. MPs are elected in their own electoral districts or “ridings” to represent the voters in the House. As some ridings are more populated than others, there is often an interesting balance among MPs in the House of Commons. The House of Commons has a presiding officer known as the Speaker. The Speaker is elected by members of the House at the start of each new parliamentary term. 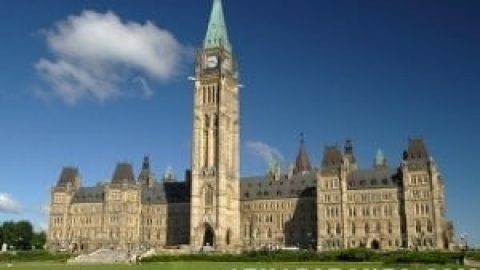 The House of Commons meets on Parliament Hill in Ottawa to discuss and argue various bills and other governmental matters. The Prime Minister is generally present during the meetings, which take place Monday to Friday from late January to mid-June and again from mid-September to mid-December. Parliamentary proceedings featuring the House of Commons are broadcast on television by the Cable Public Affairs Channel and transcripts are made available to the public at any time upon request. This keeps the House of Commons honest, some say, and ensures the potential for a transparent process in Ottawa. In that Canada’s government relies on cooperative operation involving other parties besides the one in power, the House of Commons plays an important role in ensuring that Canada has a representative democracy. The essential function of the House of Commons is to give the people acceptable government, which means that all parties must work and bicker together under the same roof as elected by voters. The House of Commons raises bills, including all bills involving money, and handles any other business relating to government with input from all elected officials standing as a part of the arrangement. In order to avoid anarchy, the Speaker determines who will speak in the daily proceedings and serves as a sort of referee to the oft-chaotic meetings. The House of Commons, the Senate and the Sovereign all add up to Canada’s parliamentary system of government. It is a true democracy, consistently and efficiently representing the will of the people. The government elected by the people remains elected until the public changes it; there are no locked-in term limits in elected positions. In understanding the three basic parts of the Parliament of Canada, one can determine how government functions in Canada’s vibrant political system. Test your knowledge with our Canadian Citizenship Test. Toronto - 10 Cheap or Free Things to DoCanada Day: What Do You Do?